Welcome to Chun Family Dentistry in Windsor, CA! At Chun Family Dentistry, we believe that a smile is one of life’s precious gifts. We combine state-of-the-art technology and amenities with outstanding customer service to go above and beyond your expectations for your dental visit. From baby teeth to dentures, we want to be the team your family trusts for quality, personalized dental care. Prevention is key to getting and maintaining a healthy smile. Our full line-up of services can help ensure that you’re on the path to a lifetime of good oral health. Our cosmetic dental services include professional teeth whitening and porcelain veneers. A beautiful smile can improve your confidence, so let us help! Are you missing one or more teeth? Are you embarrassed to smile? Our start-to-finish dental implant services can give you a reason to smile again. If a visit to the dentist sends shivers down your spine, we can help! We offer relaxing sedation options to help even the most anxious patients feel at ease. We provide quality dental care that always puts you and your needs first. We value the relationships we establish with our patients and believe in empowering them to make informed decisions about their dental health. We focus on providing those we serve with education and access to the most up-to-date and highest quality of dental care to maintain beautiful and healthy smiles. Our goal is not only for you to leave with a smile on your face, but also for you to feel comfortable with us while we work to give you that beautiful smile! 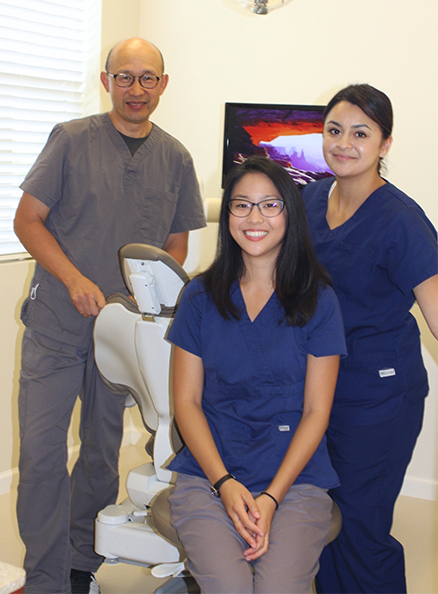 When it comes to comprehensive dental care in Windsor, Chun Family Dentistry stands head-and-shoulders above the rest. From our warm and welcoming office environment to our super-friendly team, we do all we can to reassure you that we’re here for you and you alone. Your well being and oral health are our top priorities, and our doctors make sure that you’re well taken care of throughout your visit. To us, the words “comprehensive” and “preventive” are more than just words – they’re part of our promise to you. We strive to be a one-stop shop for all your smile needs. From regular preventive care to smile makeovers with cosmetic dentistry or dental implants, we’re here to make sure that you get the smile you’ve always dreamed of. We provide comprehensive care, which means that we diagnose and treat a wide range of conditions affecting oral health. We also emphasize the importance of preventive dentistry, because it means that we can treat any problems in your teeth, gums, and jaw while they’re still small using conservative plans. Everyone deserves a healthy, attractive smile! We welcome patients of all ages to our dental practice. We truly love helping children develop great oral health habits that will stay with them for a lifetime. Our family welcomes your family to visit our office for friendly dental care for the young and old and everyone in between. 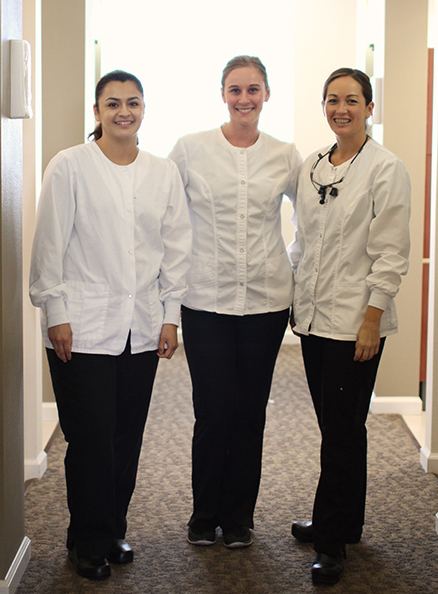 Our patients deserve high-quality dental care that is precise, efficient, and comfortable. We are able to provide that using leading-edge dental equipment, including digital X-rays, soft tissue lasers, and more. If you want to learn more about our modern technology, please don’t hesitate to ask! If you are less than thrilled about your smile, we can sit down with you to design your dream smile with our many different cosmetic dental services. Our treatments can whiten teeth, fix gaps or chips, and replace missing teeth. You shouldn’t have to settle for a smile you want to hide. We’re here to help! Our practice is able to provide every stage of the dental implant process, including placement and restoration. We can also stabilize dentures using mini implants. Instead of being referred out for your different dental implant needs, come to Chun Family Dentistry to take care of the entire procedure from one office. Even if you suffer from dental anxiety or fear, it’s still possible to take care of your dental health with sedation dentistry. Our practice offers gentle anesthesia and sedation options so that you can feel completely relaxed throughout your appointment and get the work you need with zero stress. Emergencies can happen when you least expect them, but you should still be able to get care as soon as possible. We leave room in our schedules so that we can accommodate patients in need of urgent care that same day. If you have a dental emergency, call our office so we can bring you in promptly. Everyone’s needs and budgets are unique. To make it easy for all of our patients to pay for their care, we have many financial options available, including credit and debit cards, dental insurance, payment plans, and even an in-house membership plan. We’ll help you find the best choice for you and your family. We accept both in-network and out-of-network insurance providers. When you come in for your appointment, we are happy to give you an estimate of costs. After your appointment, we will also track and file your insurance claims for you as a courtesy. Our team makes it easy to use dental insurance. We believe that dental care should be available to everyone, regardless of schedules and budgets. We aim to make dental care accessible to busy families. Our office is open until 6pm four days a week, so you can fit in afterschool appointments for the kids or come in after your own work day has ended. When it comes to your wallet, we try to be just as flexible! We accept a variety of payment options, including CareCredit℠ patient financing. We’re also very insurance friendly and are happy to file and track your claims for you. 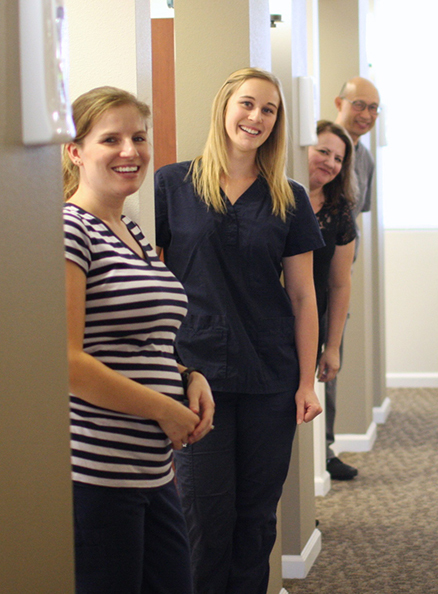 “Family dentistry” is more than just part of our practice name — it’s part of our philosophy. While you’re with us, we treat you like family. And since our doctors really are all family, we know exactly what that means! 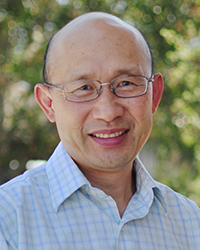 Dr. Tedmund Chun loves practicing dentistry with his sons, Drs. Bryce and Brad Chun, and together, the Drs. Chun provide compassionate, professional care to all of our patients. 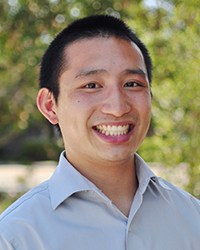 Dr. Bryce Chun received his DDS degree from Loma Linda University School of Dentistry. His favorite part of being a dentist is getting to know each patient and helping them achieve the smile they’ve always wanted. 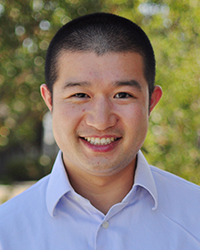 Dr. Brad Chun attained his DDS degree from Loma Linda University School of Dentistry. He has a passion for keeping up with the latest techniques, advancements, and technologies in dentistry. Dr. Tedmund Chun has practiced dentistry in the Windsor area for almost 30 years. He is passionate about dentistry and also takes dental students on overseas mission trips. Outstanding dentist and outstanding human being! My father was an exceptional dentist in Santa Rosa and I have felt anxious about seeing a new dentist. I am so thankful that I found Dr. Chun. I have had some extensive work done the past couple of years and Dr. Chun is gentle, efficient and trustworthy. I would recommend him to everyone because I feel that he is not only an outstanding dentist but he is also an exceptional human being. His office staff is always professional and friendly. The office is modern and clean. Thank You Dr. Chun for taking such good care of my teeth!